StockOpter About Net Worth Strategies, Inc. 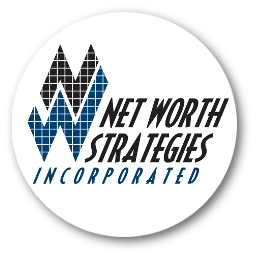 Incorporated in 1999, Net Worth Strategies is the industry leader in professional equity compensation risk analysis and tax planning tools. We provide web-based (StockOpter.com) and desktop (StockOpter Pro) applications that enable financial advisors to grow their practices by engaging and assisting individuals that receive company stock and options to diversify these holdings. On average, advisors that use StockOpter report that they generate over $500,000 in AUM per client and can charge between $500-$2,500 annually for equity compensation guidance and tax planning. StockOpter-based guidance helps clients maximize the value of their employee stock options, restricted/performance shares and company stock holdings by providing unique information that facilitates timely, informed and tax efficient diversification decisions. Our clients include the top independent advisory firms and nearly every major financial institution that assists corporate executives with their employee stock options and company stock holdings. For a list of some of our clients, click HERE.